Below you will find information to help you understand when to use your ColdCure® and/or BFST® Wraps to achieve the absolute best treatment results. Optimize your treatments to relieve the pain and swelling more effectively and heal your injury faster. Help your body recover faster by using your ColdCure® Wrap to reduce inflammation and relieve the pain. Once your initial inflammation and swelling symptoms have subsided, ColdCure® treatments should be used for injury prevention after any physical activity. ColdCure® can also be used whenever you experience a pain flare-up. Do a BFST® treatment 20 minutes after you do a ColdCure® treatment for injury prevention or to treat a pain flare-up. This will re-promote blood flow so you can continue accelerating the healing process. The RigiGel® packs can be charged either in the fridge or the freezer depending on your cold preference. The more inflamed your injury is, the less sensitive your skin may be to cold temperatures. Always have a protective layer of fabric between your skin and the RigiGel® pack if you choose to charge your gels in the freezer. Use your BFST® Wrap to heal and prevent soft tissue injuries by stimulating blood flow deep below your skin. Avoid using a BFST® Wrap until your inflammation and swelling have subsided. If you experience any pain or discomfort during a BFST® treatment, this is an indication that you may have internal inflammation. In this case, please discontinue BFST® treatments for several days and focus on reducing inflammation with your ColdCure® Wrap. Each 20 minute treatment optimizes your blood circulation for an average of 4 hours. We recommend 3-4 treatments daily, spread throughout the day, (plus any additional BFST® treatments required after the application of cold). Do one treatment first thing in the morning to increase blood flow and reduce stiffness. Do another treatment in the afternoon and one in the evening. Do one more treatment before going to bed to relax the area and aid healing. Don't stop doing BFST® treatments once your pain stops and your mobility improves. The healing process takes much longer than we think, and even though we may feel better, our tissue may only be 20% or 30% healed. Continue doing regular BFST® treatments for several months in order to heal completely. After a full recovery, use the BFST® Wrap for preventative measures before any physical activity to optimize your blood flow. To make the most of your ColdCure® and BFST® Wraps, click here for more information on Combination Therapy to help optimize your treatments and speed up your recovery. If you have a Baker's Cyst, click here to find out how to optimize your treatments and recovery using your ColdCure® Leg Wrap and your BFST® Knee Wrap. If you only have a BFST® Wrap, click here for details on the application of cold, to ensure you get the most out of your BFST® treatments. You get the professional consulting services of our King Brand® Advisors free with every BFST® and ColdCure® Wrap purchase. This is an extremely valuable service in terms of your treatment and recovery. Our Advisors are thoroughly trained on BFST® and ColdCure® technology and treatments. They can even work out a treatment plan for you that's specific to your injury. Our Advisors spend all day giving people treatment advice and guidance. They are committed to helping you recover as quickly as possible. While one of our Advisors will follow-up with you directly 2 or 3 days after your order is delivered, you're welcome to contact us any time. We're here to help you at every stage of your recovery. For additional questions or concerns regarding your King Brand® Wraps or treatments, please call our toll free number 1-844-400-2525. Please visit our Contact Us page for Customer Service Hours. Note from KB WebMaster - The text below is primarily intended to assist with Google properly classifying this page content. To learn more about our products please visit our website.<br>Learn how to get the most out of your BFST and ColdCure treatments. Schedule your treatments for optimal results. 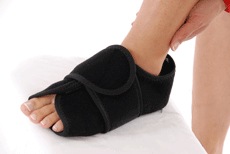 Relieve the pain and swelling more effectively and heal your injury faster. Start with ColdCure treatments to relieve the pain and swelling. 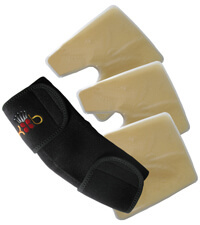 Use ColdCure for injury prevention after physical activity once your swelling and inflammation is gone. You can also use ColdCure to treat pain flare-ups. Move on to BFST treatments once the initial swelling and inflammation has subsided. Do 3-4 treatments per day for best results. Keep doing BFST treatments even after the pain is gone. Do a BFST treatment before any physical activity to optimize your blood flow.